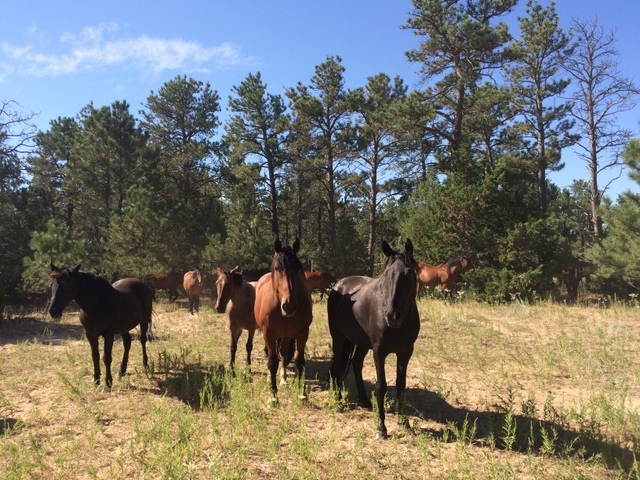 At the southern edge of the Black Hills in South Dakota is a place where dreams have come true, a place where wild horses are free to run on thousands of acres of land. 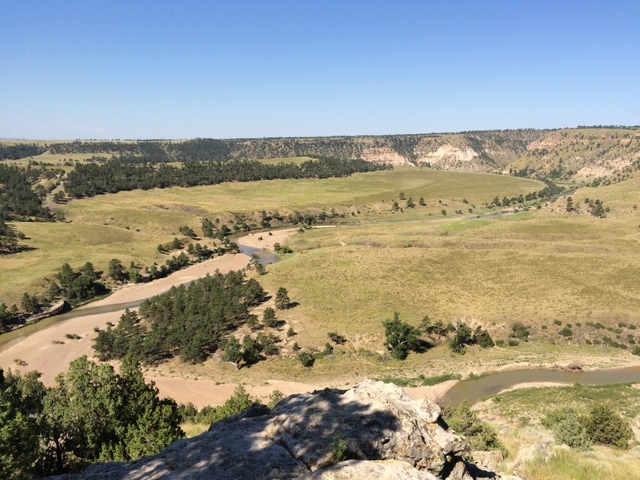 With the Cheyenne River running through it and the sacred hills to keep them safe and protected, the horses that live in this place have found an equine heaven on earth. It’s a place where they are forever home. 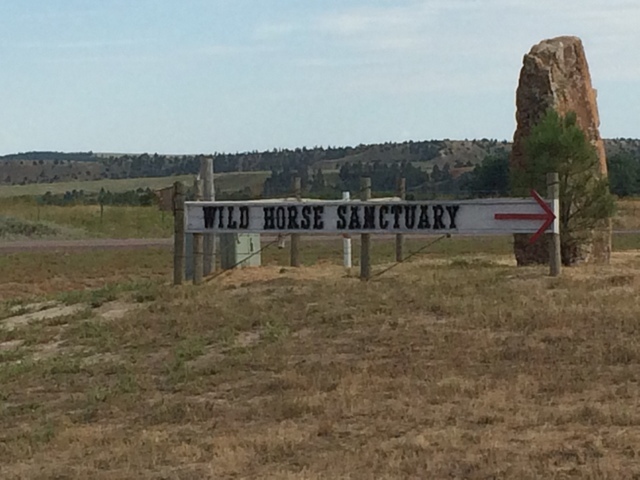 Founded in 1988 by Dayton O. Hyde (a native of Michigan), the Black Hills Wild Horse Sanctuary is managed by the Institute of Range and the American Mustang (IRAM), a non-profit that receives no government funding. 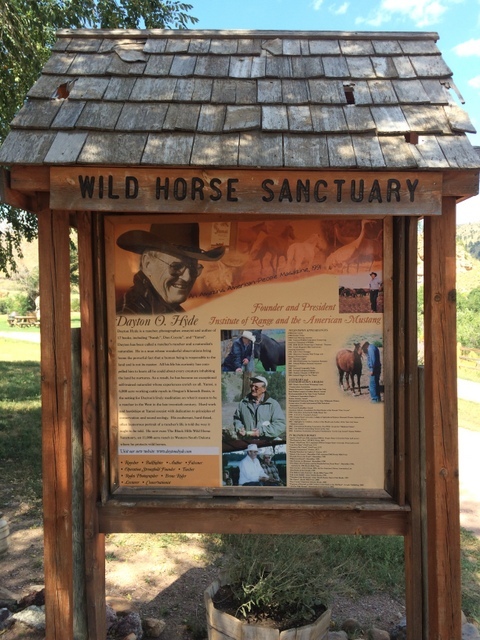 It began with a dream of providing a better answer to holding the wild horses in pens and is now a shining example of what just one person can do to change the world. 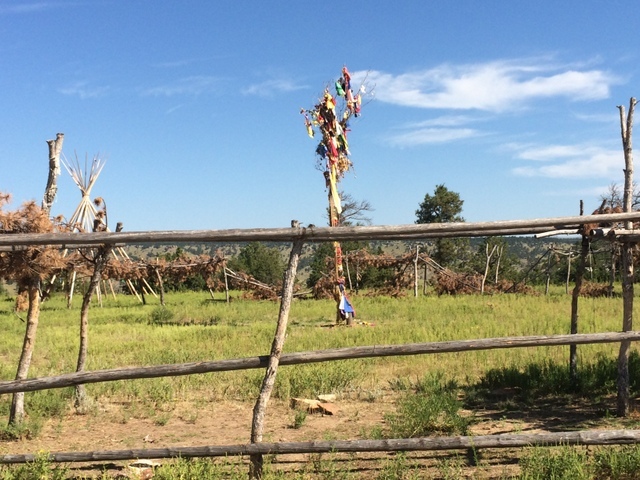 The Sanctuary is open year round to visitors, and a two hour bus ride was a perfect way to meet many of the inhabitants. 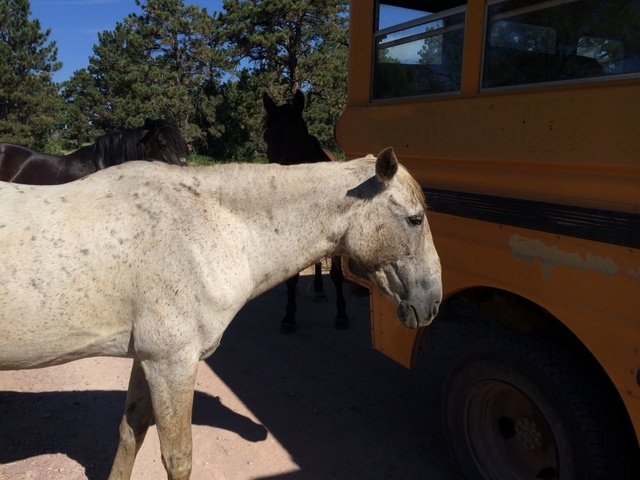 While some preferred to stay on the “wild side” far away from human contact, many of the horses were happy to visit with those who had come to see them on a hot August day. 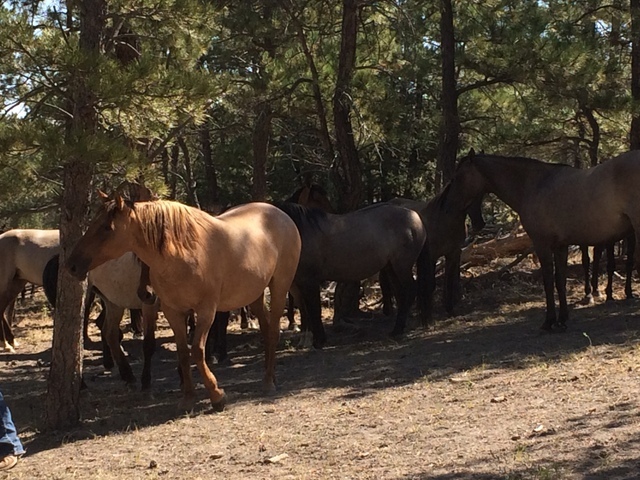 A few eyed us curiously while others came close enough for a few pats and just to hang out. 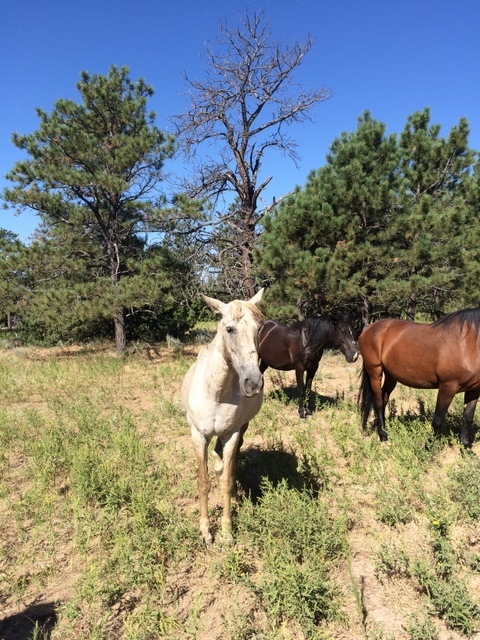 While it seemed they might have been hoping to pilfer a few treats, the guide told us the horses there don’t know what sugar or carrots are because, except for the hay the sanctuary provides, they live as wild horses have always lived, foraging from the land. So there was no “ulterior motive” in their mingling with us. They simply enjoyed the company. They had no fear, because they’ve not been given a reason to fear. It is an amazing place where all you hear is the wind and where you can see Curly Mustangs (with their curly coats, manes and tails), Spanish Mustangs (with their leg and dorsal stripes and shoulder bars) Choctaw Indian ponies (with their flashy coats and blazed faces) as well as American Mustangs like Medicine Hattie and Champagne Lady. 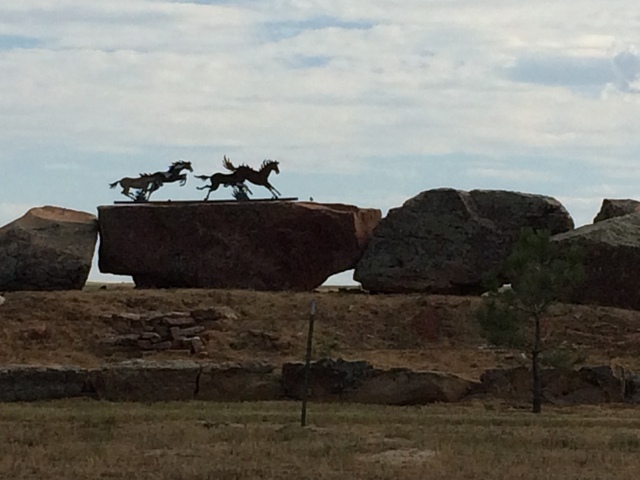 Seeing them and knowing they will never have to endure another round-up, makes you realize anything is possible, you just have to believe it can be done, just as a man named Dayton O. Hyde did nearly thirty years ago. 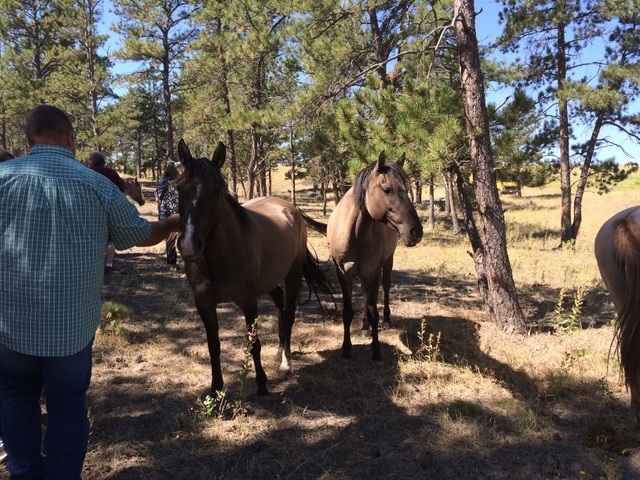 If you would like to know more about the Black Hills Wild Horse Sanctuary, please visit their website: www.wildmustangs.com. As summer comes to a close and kids head back to school, pets can sometimes become confused over the sudden change in household routines. Over the past three months, life has moved slower and family members have been around more. Now the house is empty because of classes, sports and other school activities. If you notice your pet is listless, doesn’t want to eat or is falling into bad habits, consider that he/she might be depressed at the changes. There are several things you can try to help them get past this. 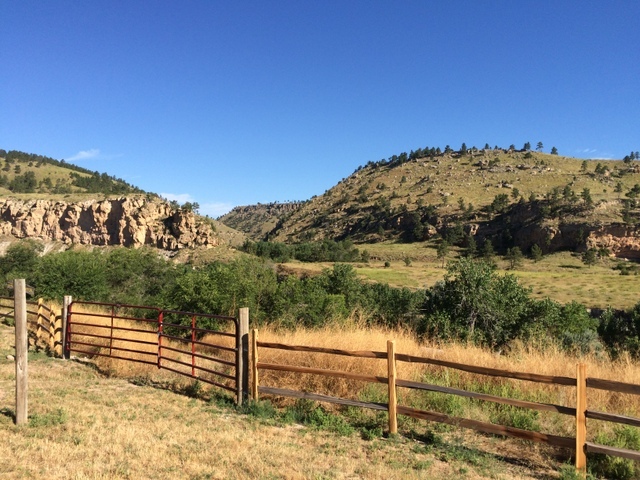 More exercise is always a good thing, as well as increasing attention and social time. Toys that dispense treats can also help fill empty hours of alone-time. Just being aware of how changes in our lives affect our pets will go a long way toward easing them into the new routine.